Is there any cooler place on earth than Austin, Texas? Not in my opinion! 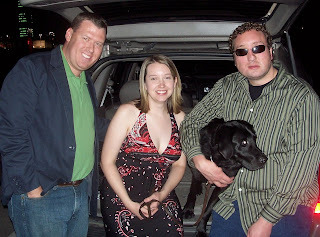 Just got back from a weekend in Austin spent with my friends, Bryce and Nicole Taylor. Our whole point of going was just to simply soak up the Austin flavor, check out the city and see what Austin is all about… and we did just that! Awesome food, drink and friendship in what city makes me drool for some alt country and Tex Mex chow! Plus, if there was ever a desire in Carson’s heart to be human, it was this weekend! 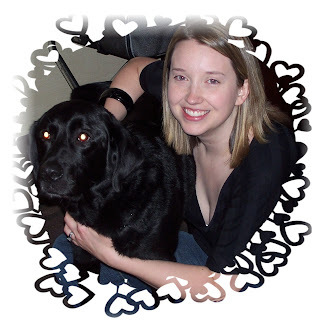 Nicole is a HUGE dog lover and, of course, Carson was in heaven! Any time his harness was on, he was all work… but as soon as that slipped off, he was in Nicole’s lap! 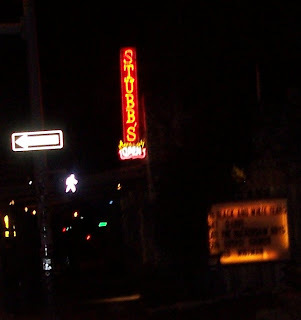 Stubb’s BBQ, an Austin classic, second only to Virgil’s in NYC for the place that makes me want to gorge myself on meat! Thanks to Bryce and Nicole for showing us the Austin ropes! Looking forward to another trip back to the Lone Star State soon!